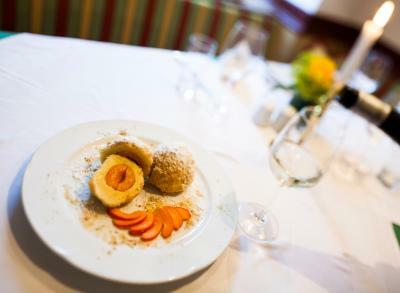 Lock in a great price for Hotel-Restaurant Kirchenwirt – rated 9.4 by recent guests! Great place to stay. Essentially a B and B with more rooms and a restaurant. The girl met me, key in hand, and called me by name on arrival. I had not spoken a word to that point. I loved the room. It was spacious and had everything. Great location with good parking given that it's in old village. Very friendly and helpful staff. Great selection at breakfast. The location, the view, the professionalism and courtesy of the hosts, the restaurant - all are superlative. A place where you will want to come back. The city is wonderful, perfect for a stay of active rest and gastronomic adventure. 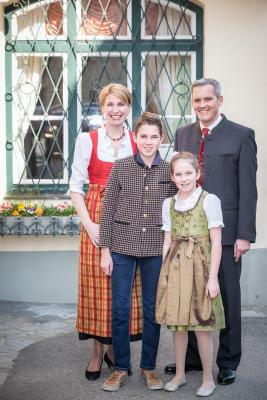 Congratulations to the owners and to those who choose to come to the Hotel-Restaurant Kirchenwirt. What I like on vacations in such smaller Austrian hotels is the personal approach to the customer. This hotel was a clear example. From the start, it is rather a meeting with distant relatives than with some accommodation providers. The staff is really friendly and positive. Nice detail is the (friendly) Slovak speaking waiter. For many customers, it is simply more comfortable to order in Czech or Slovak. 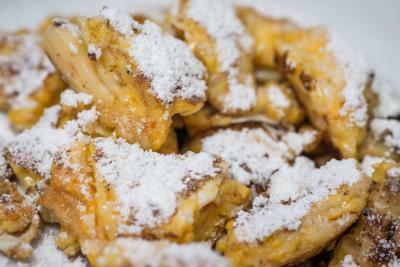 Especially when you are not familiar with Austrian cuisine. Not even mention excellent location of the hotel and stylish rooms. Beautifully converted to provide modern comforts in an old building. Beautiful place and wonderful hosts!!! Christian and his wife were very helpful from beginning to end! 1. The hotel: its charming and caring manager and the friendly staff - they did really extend the beauty of the nature into a really personal and exciting experience for us. 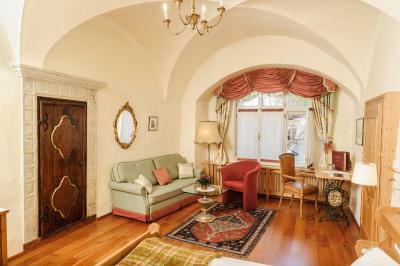 Our rooms in the hotel (500 years old) were elegantly decorated with style and very comfortable, clean and cozy. 2. 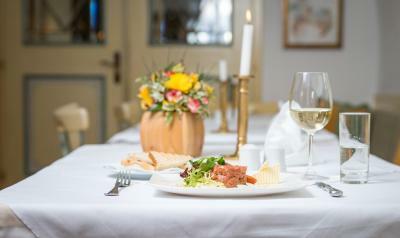 The restaurant: great kitchen, variety of tasty meals and a great wine selection. We especially liked Jäger wines. 3. The location - by the Danube is fantastic. Not only you enjoy the river, the food and the wine (it is a wine region), but there are plenty of opportunities for outdoor entertainment - you can walk on the Panorama Route or take a bike and visit Dürnstein, or even reach the Aggstein Castle. Danube's ferry is a real fun. 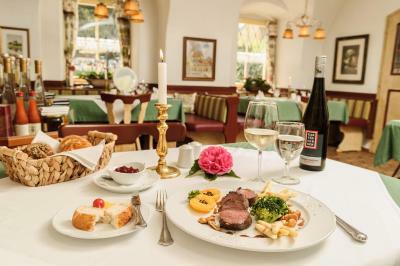 Hotel-Restaurant Kirchenwirt This rating is a reflection of how the property compares to the industry standard when it comes to price, facilities and services available. It's based on a self-evaluation by the property. Use this rating to help choose your stay! 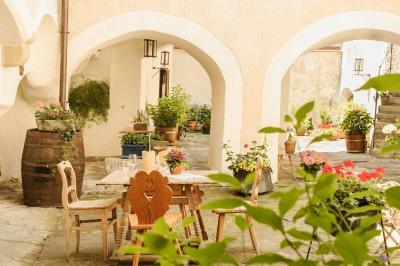 The Kirchenwirt is a traditional hotel in a central yet quiet location in the heart of Weißenkirchen in the Wachau Valley, a 15-minute drive from Krems. 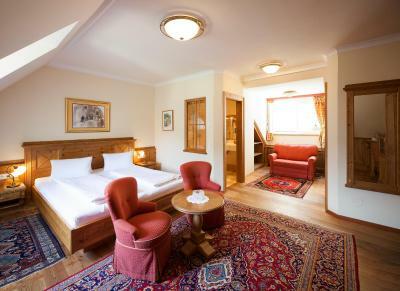 All rooms are equipped with solid wood furniture. A rich breakfast buffet is served between 08:00 and 10:00, including homemade jam. You can have breakfast in the parlors or in the cozy garden. Local and seasonal products are used to create the dishes. The vinotheque offers a wide range of Austrian wines. In addition to the Kirchenwirt main building, there are 2 renovated annexes from the 16th century, which are located in the immediate vicinity. Each house has its own style. 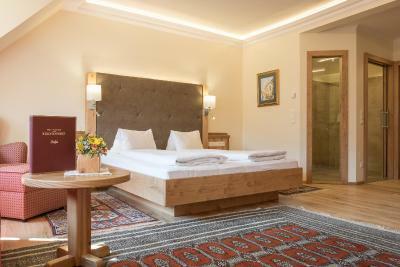 The rooms at the Arkadenhof and the Gellerhaus are very individual, since they feature high wooden ceilings or cross vaults. 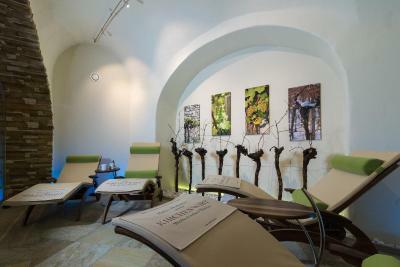 Guests of the Kirchenwirt can use a nearby spa area (a 5-minute walk away) at a surcharge. 2 golf courses (18 and 36 holes) are within 19 mi and offer reduced green fees to hotel guests. Vienna is just a 1-hour drive away. This property is also rated for the best value in Weissenkirchen in der Wachau! Guests are getting more for their money when compared to other properties in this city. 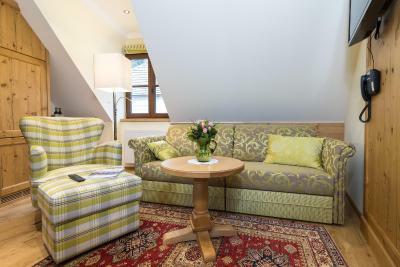 When would you like to stay at Hotel-Restaurant Kirchenwirt? This double room may be located in the main building, in the annex arcade or in the Geller House - subject to availability. If you require an accommodations in a certain house or room, please ask the Kirchenwirt in advance. 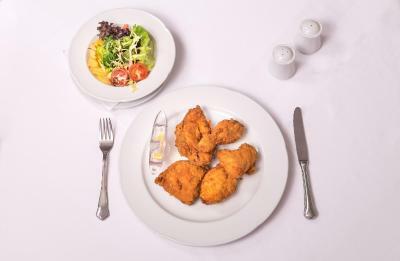 House Rules Hotel-Restaurant Kirchenwirt takes special requests – add in the next step! All children under 16 years are charged EUR 35 per night for extra beds. Hotel-Restaurant Kirchenwirt accepts these cards and reserves the right to temporarily hold an amount prior to arrival. The restaurant is closed from mid-November 2017 to mid-March 2018. Please note that there is no elevator. If you require a room on a lower level, please inform the property in advance. Please inform Hotel-Restaurant Kirchenwirt of your expected arrival time in advance. You can use the Special Requests box when booking, or contact the property directly using the contact details in your confirmation. Quite a lot of stairs to climb to the top rooms with no elevator but the staff offered to carry our luggage so it wasn't a problem. First class service and dinner. No AC in the room. That was really bad. The town is exceedingly dead unless you are a biker or hiker. Parking could be an issue although I was very lucky with a spot right out front. 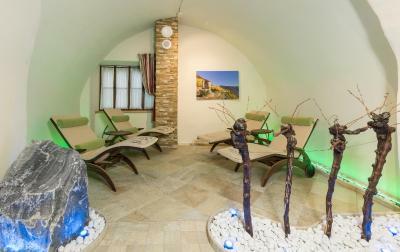 This is a very charming and civilised old fashioned hotel in a beautiful location In a delightful unspoilt village. Due to location in historical building, there is no elevator and wi-fi is not guranteed. The hotel is located in several buildings, therefore, ask the reception before loading off all your luggage :) We had a room in a 500 years old house featuring romantic inner yard. The room was well-kept and equipped. Good bed and bathroom. The restaurant is good as well. We arrived just during the grape picking season, so it was lively and even crowded. Always ask for the day`s specialities.